Yes! It’s a good movie! If you are a Star Wars fan, you won’t be disappointed. This episode, under the control of Disney and with a new director, is fresh, exciting, and innovative while remaining faithful to all that’s gone before. There are great action sequences, delightful characters, intriguing developments, spectacular cinematography, and the story takes some surprising directions. The main characters have become more complex and, therefore, more interesting than they were before. 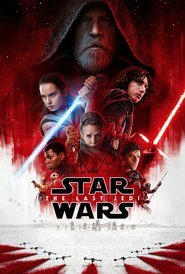 The Last Jedi is as good, if not better, than the original Star Wars and the Empire Strikes Back. It’s a long movie (2½ hours!) but worth every minute and every cent to see it. Don’t miss it — and make sure you see it on the big screen! Bring on Episode IX!